The sky goes BANG – a big storm is brewing. ‘What if it doesn’t stop raining?’ Noah thinks. BANG goes the sky again. Little Boa is frightened, so Noah picks him up and pats him gently. He imagines what it would be like if there was a flood and the streets flowed like rivers. Noah would know what to do. He is Big Noah now, and he will take care of Little Boa and of his new baby brother too… Ken Spillman and Orit Bergman created an endearing character, that echoes the mythical image of Noah but overcomes a real fear of the flood outside and the flood of feelings within, as he grows up to become a big and caring brother.Ken Spillman is a prolific Australian author, editor and critic. 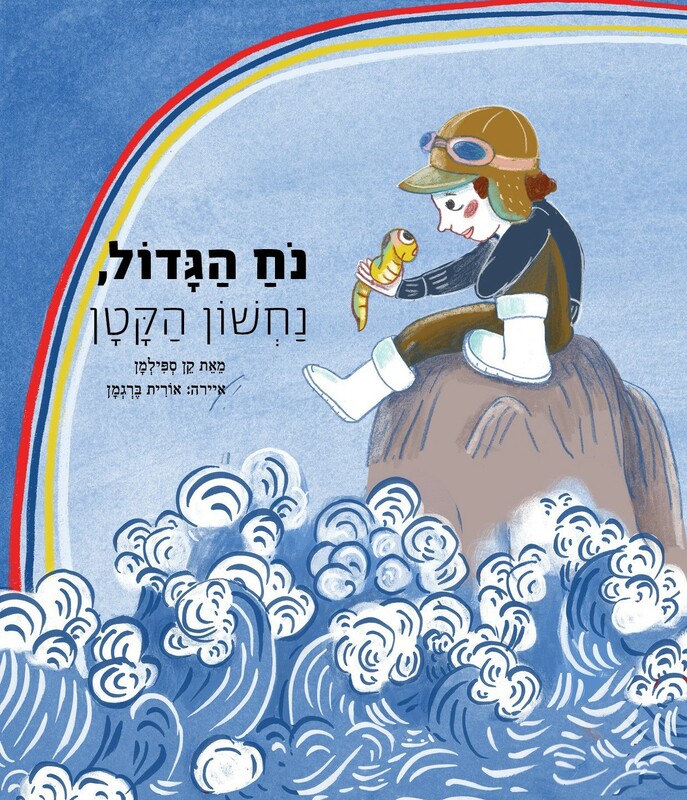 Orit Bergman is the illustrator of the highly praised The Chameleon that Saved Noah’s Ark. 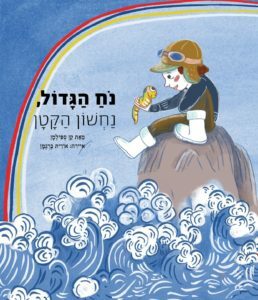 This entry was posted in Picture Books and tagged Kinneret Publishing on November 8, 2017 by sbarrouillet.